We'll head over to buddybuild.com and click Get Started. We'll sign up with Github (we could also use Bitbucket, GitLab, or sign up with email / password to for repos on any other git server). Neat! 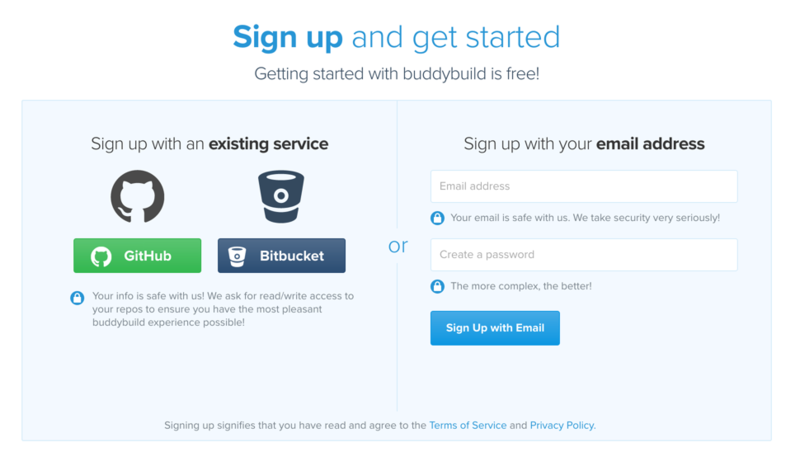 Once we select the repo we want to build, buddybuild will get to work building our app for the first time. After that build is complete, our app is set up on buddybuild - it's that easy. If our app ever crashes, buddybuild's will trace back and highlight the exact line of offending source code that caused the crash, telling us which users were affected, and how many times the crash happened.